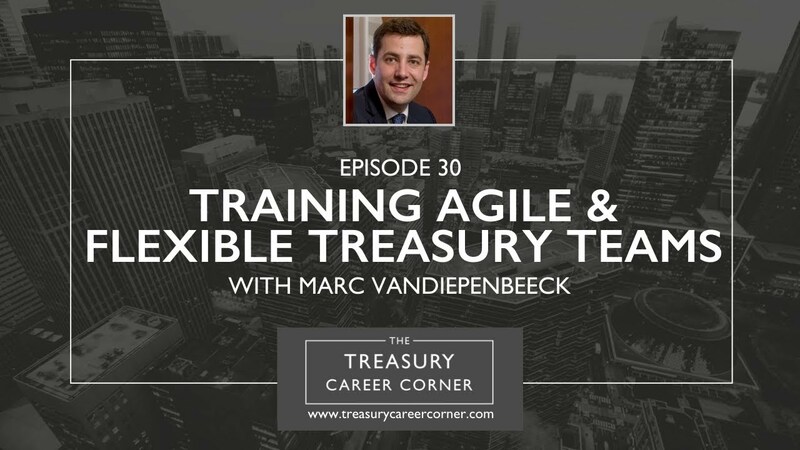 We have a very special guest the Treasury Career Corner podcast this week, and that’s none other than Marc Vandiepenbeeck, Vice President & Assistant Treasurer at Johnson Controls. Mr Vandiepenbeeck joined Johnson Controls in 2005 and currently manages the Company’s capital markets, global liquidity, asset management (retirement plans), strategic banking relationships, and SEC reporting for treasury operations. In this role, he supports the JCI regional treasury centres in North America, South America, Europe, and Asia. Prior to his current position, Mr Vandiepenbeeck worked in regional treasury centres in Hong Kong, Brussels and Milwaukee. In 2009, Mr Vandiepenbeeck cofounded Whitewater Analytics, a software as a service Fintech Company that provides foreign exchange exposure management services for global companies. Mr Vandiepenbeeck still serves on the executive team as Managing Partner where he helps oversee the business development aspects of the Company. Before joining Johnson Controls, Mr Vandiepenbeeck was a Senior Auditor for Pricewaterhouse Coopers in Brussels, Belgium where he was responsible for the corporate finance, real estate and treasury assignments. From 2000 through 2003, Mr Vandiepenbeeck worked in the corporate development group of Volcano Therapeutics Inc., a global leader in medical diagnostic instrumentation. Mr Vandiepenbeeck received a bachelor’s degree in Engineering Management from the University Libre of Brussels and a master’s degree in Science of Management from Solvay School of Economics. Marc and his wife, Amy, live in Whitefish Bay (Wisconsin) where they raise their twin daughters. If you’d like to get in touch with Marc, you can reach out to him via his LinkedIn profile.